It's been a long time coming, but Microsoft has finally released a software development kit (SDK) for the Kinect on Windows 7 PCs. 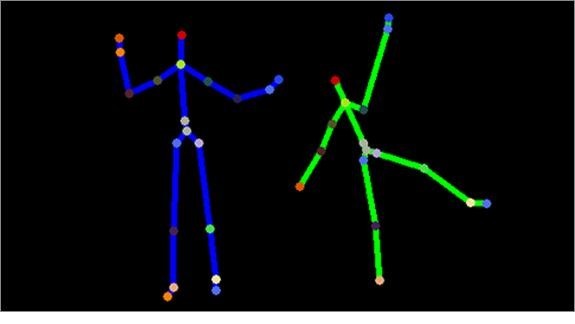 The word "hacking" is no longer needed, thanks to the free beta download available at Microsoft Research that allows anyone with a Windows computer and some coding knowledge to take advantage of the Kinect's motion-sensing capabilities. Actually, the Kinect for Windows SDK Beta is meant solely for the academic and enthusiast communities, not commercial (though it's in the works), and is intended for .Net developers who build applications with C++, C# or Visual Basic (VB) by using Microsoft Visual Studio 2010. Built on XNA, the Kinect SDK Beta is basically a port of the libraries currently available to Xbox 360 developers, but it's a standalone library which means it doesn't have to rely on DirectX. The SDK Beta gives you full access to the Kinect's capabilities, including all of the drivers and full access to the raw sensor streams (RGB video, depth-sensing camera and four-element microphone array). Also, there's skeletal tracking for gesture-driven applications and advanced audio capabilities for acoustic noise suppression, echo cancellation, source identification and speech recognition. You can also take advantage of the 100+ pages of sample code and walkthrough documentation to get you started. To help you take advantage of the Kinect's features, Microsoft has even made some quick start video guides to get you started. Installing and using the Kinect sensor in Windows. For more information on installing and using the Kinect sensor, click here. Setting up your development environment for Kinect. For more information on setting up your development environment, click here. For more information on skeletal tracking, click here. (1) Camera fundamentals, part one. (2) Camera fundamentals, part two. For more information on the Kinect's camera, click here. (1) Working with depth data, part one. (2) Working with depth data, part two. For more information on depth data, click here. For more information on the audio capabilities, click here.